The Rotary Drum Screens are applied for separating solids from process and wastewater. 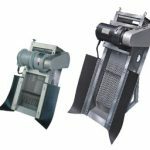 Our Rotary Drum Screens are well made, driven by frequency controlled drive, and made from anti-corrosive materials (SS 304 and higher). These qualities, made our Rotary Drum Screen is high in production quality and low in maintenance cost. The Curved Screens are robustly built and require minimum maintenance and attention. The Curved Screens can be equipped with programmable spray cleaning device in case the wastewater contains fiber-like materials or fat. 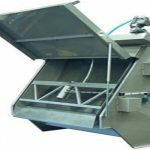 Rake Screens also applied for separating solids from process water or wastewater. 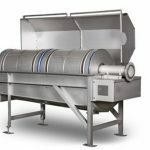 The Rake Screens solves the problem of separating solids from liquid in a reinforced concrete channel or in a dedicated stainless steel housing. 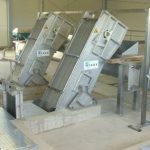 Power Bar Screens are front screen type, fully Automatic Bar Screen designed for screening wastewater. It is fully constructed from 304 stainless steel for anti-corrosion and long lasting quality. The Power Bar Screens are suitable for use in a waterway with varying water levels.